The British Veterinary Association (BVA), the British Cattle Veterinary Association (BCVA), the Sheep Veterinary Society (SVS) and the Goat Veterinary Society (GVS) have responded to the publication of the Animal and Plant Health Agency’s (APHA) risk assessment of a Bluetongue outbreak in the UK. Following the ongoing presence of the disease in France, the report reveals the UK is at risk of an outbreak during the Spring or, more likely, late Summer months. BVA's Senior Vice President John Blackwell joined Defra, the National Farmers’ Union (NFU) and The Pirbright Institute in urging farmers to remain vigilant over the Bluetongue risk, including monitoring their stock carefully and reporting any clinical signs of the disease immediately to their vet and the APHA. BVA Senior Vice President said: “The APHA risk assessment has identified a high risk of a Bluetongue outbreak in the UK towards the end of the summer. The information released today is a useful reminder to UK farmers, particularly those in the South East of England, to remain vigilant for any signs of Bluetongue in their animals. “We strongly encourage all farmers to closely monitor their stock for Bluetongue symptoms - particularly sheep that are most susceptible to the disease - including eye and nasal discharge, drooling, swelling around the head or mouth, lethargy and lameness. 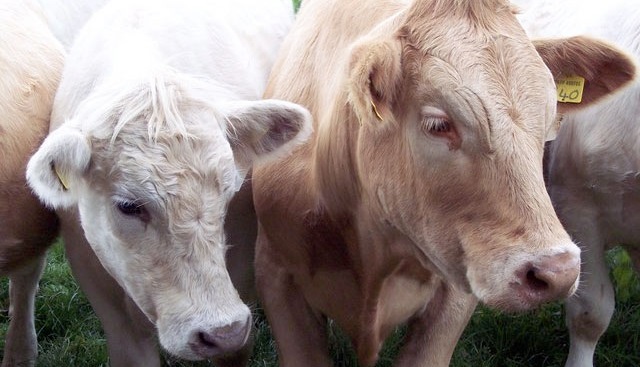 Cattle may show no signs of illness, but any suspected symptoms should be reported immediately to your local vet and to the APHA. “The current situation highlights the continuing importance of robust disease surveillance. In a global world, where diseases such as Bluetongue pose threats to UK livestock – whether as a new disease or the re-emergence of a disease after many years with no outbreaks in the UK – it’s important we have the capability to identify and diagnose in order to protect our national herd and flock. Neil Blake BCVA President said: “Bluetongue is a notifiable disease. BCVA urges vets and farmers to ensure they are aware of the clinical signs and of the importance of reporting suspicion of disease as the year progresses and the risk of incursion increases, especially in the likely higher risk areas towards the South and East of Great Britain. Tim Bebbington SVS President said: “It is sobering to learn that there is likely to be an incursion of Bluetongue into Southern England in late summer 2016. It seems that we are again vulnerable to the spread of a once exotic disease that is carried by midges blown on the wind. Sheep can suffer severe ill health from Bluetongue infection, with extensive damage to the lining of the mouth, swollen face and tongue, lethargy and lameness.